The BPRD?s greatest foe was not always a man . . .
Little English girls are going missing, and the trail leads to a bloodthirsty cult wielding an ancient power of evil?the Cult of the Black Flame. 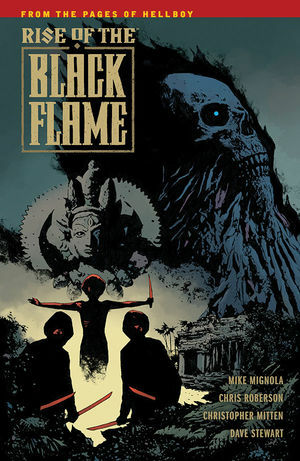 No villain in the history of Mike Mignola?s line of books has caused as much death and destruction as the Black Flame. See what it was like when that power belonged to a secret order of priests hidden in the jungles of Siam. Collects issues #1?#5 of the series.